Pakistan’s advertising industry is no stranger to controversy. From lawn advertisements outraging conservative sensibilities due to supposedly provocative imagery, to witty sanitary napkin ads( based on Wikileaks), there’s always a product or an ad that is debated upon furiously. The current ad being discussed, however, is controversial, not because of the content of the advertisement but rather, the product being hawked. The South Asian obsession with a fair complexion is perceived by many to be a result of post-colonialism. Almost 67 years after independence from British imperialists, the shadow of the British Empire hangs over us in the form of internalized colonialism. The roots of this obsession could be traced back to British imperialism, when privilege and an elevated status were indicated by the whiteness of your skin. As Afifa Faisal writes in The News, in 19th century Hindustan, whitening soaps represented a way for women to achieve the high status of white British women. “By removing from the skin the ‘stigma’ of dark skin, whitening creams correlate light skin with beauty and socioeconomic progress,” Afifa writes, but British colonialism ended long ago. So why does this obsession with fairness still remain? It is a classic case of colourism, where privileges are awarded to members of society with lighter skin, while dark-skinned individuals lack privileges. Our advertisements mirror colourism, with dark-skinned women suffering in some way or the other, until a fairness product miraculously lightens their skin color which instantly brightens (pun-intended) their future (they get married happily/ get a successful job/become popular). Skin color, therefore, is portrayed and perceived as an indicator of a particular social hierarchy within which those with lighter skin possess the privilege of an elevated socioeconomic status. The fact that fairness cream is used more by women is easy enough to understand, considering that within the patriarchal structure of our society, women already possess an inferior status and the concept of fair skin has long been the standard for beauty. In a culture where women are perceived as commodities, it is not so baffling to understand the pursuit of a fairer complexion. As Rafia Zakaria opines in Dawn, “looking like the people who once subjugated us is a remnant of Pakistani culture’s inability to move on from the idea that to be powerful, one must look the part.” As toxic as the Pakistani hatred for the West may be, it still isn’t powerful enough to wipe out decades of colonial enslavement, especially when the patriarchy’s obsession with objectifying women perpetuates that enslavement. Even without our colonial history, the constant onslaught of Western standards of beauty through mass media are contributing towards an obsession with women’s appearance. American feminist Naomi Wolf deconstructed what she called “The Beauty Myth” in her book of the same name. She posited that as women gained more rights in America, the idea of beauty was being enforced through the cosmetic and fashion industry as the last of traditional, feminine ideologies used to oppress women. “The gaunt, youthful model supplanted the happy housewife as the arbiter of successful womanhood.” Women were gaining access to public spheres such as the workplace, winning the right to vote, countering patriarchal concepts of religion, negotiating equal career opportunities. The only control left for the patriarchy was that of women’s beauty. Thus, all the punishments and taboos women had abolished for themselves, were reconstructed in the form of an obsession with their faces and bodies. Thus, the Western model for beauty became a white-skinned, half-starved model or actress with colored eyes, coated with layers of makeup, swathed with expensive branded clothes; a model emulated all across the world by women who, when assaulted by these images nonstop, developed insecurities with their own physical appearance. 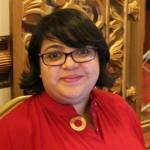 For Pakistani women, the blows come not only from internalized colonialism, but also, Western media. That the beauty and fashion industry is oppressive and a tool of capitalist patriarchy, there is no doubt. And that is what makes these skin-whitening products so dangerous; the inherent violence of the beauty industry that they represent. The beauty industry operates by constantly assaulting women with images through mass media, reminding them of their non-existent inadequacies and failings. It then ensures that women, rather than engaging in the dangerous pastime of thinking creatively and intelligently, are trapped in a cage of insecurity and trying to break out by conforming to the standards of beauty thrust upon them. The self-loathing and poor body-image that results from this process is a vicious cycle wherein women attempt to be beautiful, youthful and desirable; in a South Asian context, this beauty and desirability will get you a good marriage, career opportunities, popularity, social status, etc. These same myths about beauty are mirrored in whitening cream ads as well, and contribute to the oppression of women since women cannot reach their full potential when they are busy striving towards impossible, and even unhealthy standards of beauty. Why is it then that, despite frequent criticism of the skin-whitening, cosmetic industry, Pakistanis do not take it as a serious threat? Our neighbor India certainly has; In 2013, a law student in Bangalore filed a case against the manufacturer of an Indian crayons brand for unlawful trade practices, because beige crayon was labelled as ‘skin’ color, which he felt was a perpetuated obsession with fair complexion. Actress Nandita Das became the face of a campaign called “Dark Is Beautiful,” an initiative of Indian NGO Women of Worth, exhorting women to ‘Stay Unfair, Stay Beautiful.” In an interview with the Times of India, Nandita discussed the obsession with fairness in Bollywood, and how she’d often be asked to whiten her complexion for a movie role because her character was supposed to be educated and successful, a marker of the socioeconomic connotations of a fair complexion. While Pakistanis on social media have welcomed the campaign, the internet represents a small portion of the society, and without similar campaigns on Pakistani soil, the message will not be driven home in any case. Nor can we prioritize the needs of women based on other gender-based problems such as female illiteracy or violence against women(VAW). What point is there for education after all, when beauty standards still hold educated women back? How can we fight violence against women when we deny psychological violence? Being told, since childhood, that you are lacking because of your appearance, from friends, family, and the society is a violent theft of all sense of self-worth, thereby conditioning a woman to be a passive victim at the hands of abusers. It is high time that we as a society recognize the skin-whitening industry as a symbol of oppressive standards that even ensnares men in its net, and one that cannot be allowed to fulfill the predictions of its growth at any cost. Update: Zubeida Tariq recently spoke about the whitening soap ad in an interview for Dawn. She agrees that the tagline ‘ab gora hoga Pakistan’ is problematic and says that she asked for the tagline to be removed. 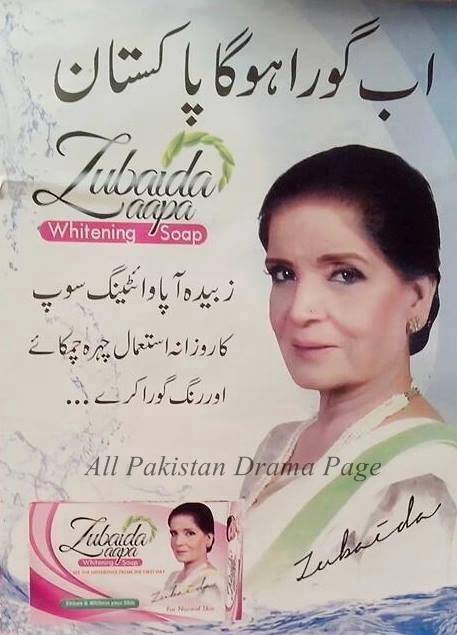 While the company behind the soap is now changing this tagline, Zubeida Tariq points out the double standards of society, where a whitening soap is criticized to the point of hurling abuse at it’s spokesperson, but advertisements which commodify women to sell products are acceptable in mainstream society.